The (print, not digital!) 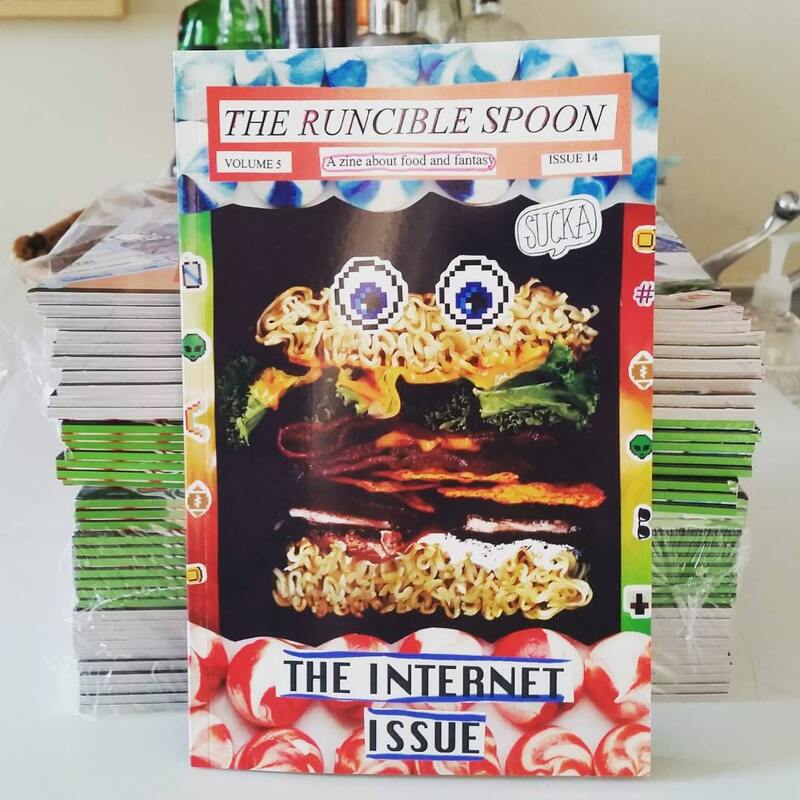 #INTERNETISSUE takes a food-focused look at both the early internet - in all its early-tech/now-cringeworthy splendor - and the current internet, where pointless clickbait and salacious headlines rule. "Here's What Happened When I Ate At 1-Star Yelp Restaurants"
"How To Host Your Own South Korean Mukbang"
Full color, 68 pages, 8.5 in x 5.5 in, perfect bound. Volume 5, Issue 14. Limited 400-print edition. Totally as fabulous as the Cheap Issue - great zine! I love this so much I bought 2 more for friends! HA HA HA HA! Outstanding!